The March for Science works to encourage evidence-based thinking when forming public policies. The march will be held in Lansing. 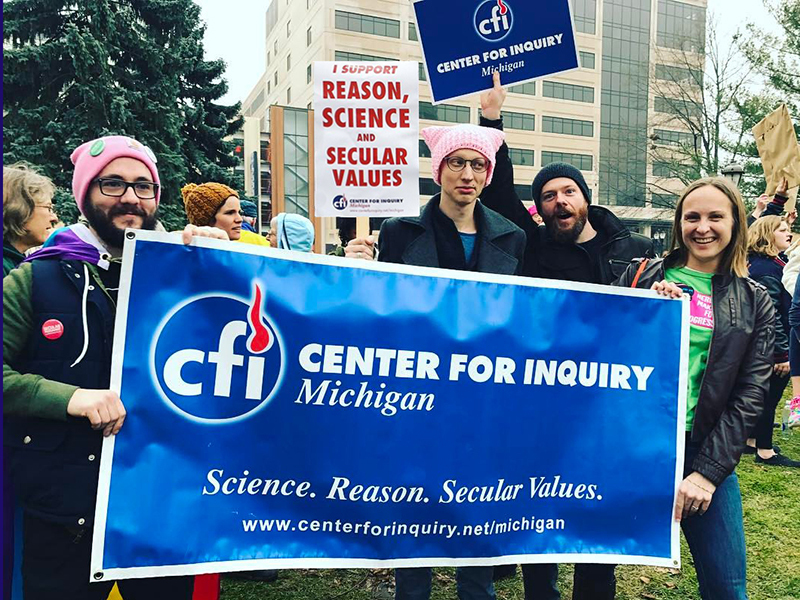 Center for Inquiry (CFI) Michigan, a local secular community group, is officially sponsoring the March for Science in Lansing on Saturday, April 22nd. 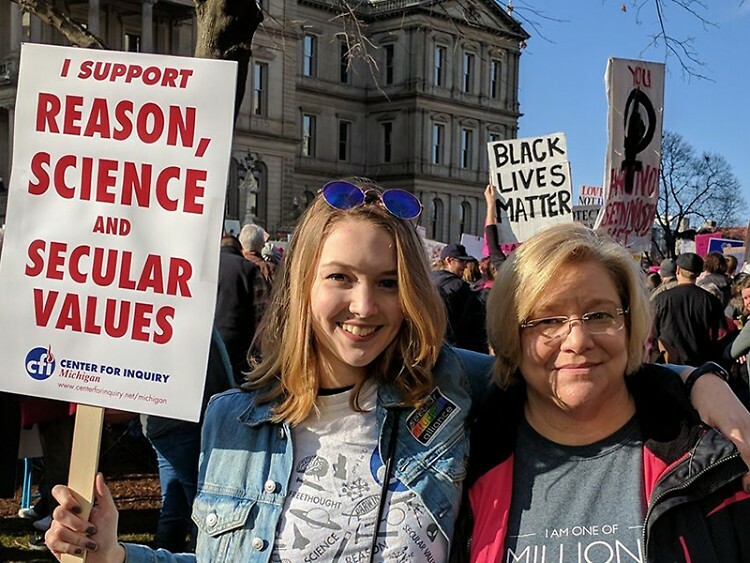 Jennifer Beahan, CFI Michigan Program Director, will be a featured speaker at the Lansing March, and CFI members will be attending the march in Lansing, as well as several satellite marches throughout the state. 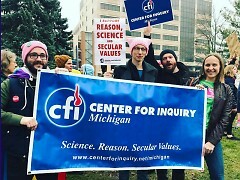 Center for Inquiry Michigan will participate in the March for Science in Lansing at the capitol lawn on Saturday, April 22 from 1 p.m. to 6 p.m. During the march, there will also be fun science activities for kids, “teach-in” booths and science-themed performers. Be sure to stop by CFI Michigan’s booth to learn more about their programs and local events. For those in the Grand Rapids area who plan on marching, CFI Michigan is also hosting a Sign-making Party the night before. In recent years, CFI has become an increasingly influential force for the promotion and defense of science in society and public policy and boasts fellows such as astronomer Neil deGrasse Tyson, and science communicator Bill Nye. 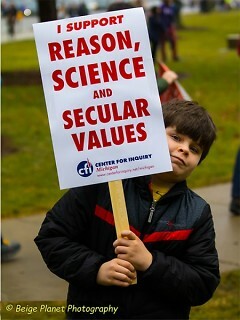 In recent years, it has played an indispensable role in several science-related issues on a national scale, including the launch of the TIES program, which educates middle school teachers on how to teach evolution, and the Keep Healthcare Safe and Secular Campaign which ensures that healthcare policy decisions are made on scientific grounds, and not based on religion, “tradition” or pseudoscience. Café Inquiry discussion groups at Schuler Books, where critical thinkers gather twice a month for casual conversations on various topics. At Skeptics in the Pub you can grab a brew and share what’s on your mind with fellow skeptics at Founders Brewing Co. They also host educational lectures twice a month at the Women’s City Club on various topics from science, to philosophy and current events. For more information on local events and events around the state (there are many more), you can find their event calendar at www.cfimichigan.org/. Learn more about wide range of Center for Inquiry’s national programs and their advocacy work in the CFI 2016 Progress Report.